Get Seeds Delivered Every Month To Your Doorstep! …along with common mistakes and how to avoid them. It will be a good starting point if it’s your first time, and reminder for those of you who have done this before. The main reason that you are going to want to start your seeds indoors is so that you can get a jumpstart on the season and to the harvest quicker. Seed packets come with a lot of information on them. Most of which gets ignored. If you look closely, the seed packet will tell how approximately how many days until the seed will sprout and be ready to be planted. It will also let you know when is the recommended time to plant outdoors. Do a little bit of math and figure out when you should get those seeds started. This sounds ridiculously obvious, but often gets overlooked. We think we’ll remember and don’t label them and sure enough as soon as we walk away, we forgot. Happens every time. Don’t take the lazy way out and just label them from the start. 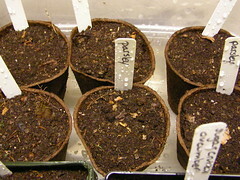 The tendency is often to keep the seeds in one position and just water them. When you do that, you’ll notice your seeds start to develop a lean to them. That’s because they are stretching towards the sun. To prevent that rotate the seed tray every few hours. That should help to straighten them out. 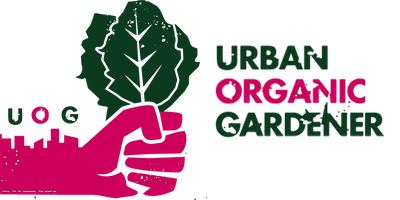 You are going to want to make sure that you are buying from a seed company that cares as much about your health and environment as you do. Now that you have some basic tips and mistakes to avoid laid out, in the comments below let me know what vegetable seeds you’ll be starting indoors and when.